Dental bridges literally bridge the gap created by missing teeth. They are put in place by installing crowns on either side of the gap. A lot of our confidence stems from our appearance and so it makes sense that we don’t feel confident when our teeth aren’t looking their best. But thankfully dental bridges can restore your confidence in no time. Dental bridges literally bridge the gap created by missing teeth. They are put in place by installing crowns on either side of the gap. The teeth beside the missing tooth or teeth that hold the bridge in place are called abutment teeth. After your cosmetic dentist makes a mold of your teeth, a bridge will be created for your next visit. During that visit, a false tooth (pontic) will be placed in the gap and held in place by the abutment teeth. Long-lasting: Dental bridges are permanent structures that are durable and long-lasting. Most patients report their bridges lasting anywhere from ten years to a lifetime. Affordable: The least expensive treatment option is a removable partial, followed by a bridge, then implants. However, in the long run, implants are less expensive since a bridge may need replacing in 8 to 10 years. Quick: Dental bridges are usually finished in two visits, whereas dental implants take up to six months to be completed. 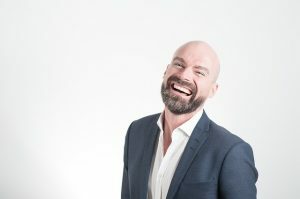 Improved Appearance: Dental bridges will not only fill in any missing teeth you have, they will also give you a smile that looks and feels as natural as your original teeth. Prevents Further Problems: By having a dental bridge procedure done, you will prevent the possibility of unwanted teeth movement. If you’re tired of feeling insecure about your missing teeth, consider getting dental bridges. Find out today whether or not dental bridges are the right choice for you and your teeth. Make your appointment with the pros at Longmeadow today. Any contractual arrangement where payment or reimbursement and/or utilization are controlled by a third party. The term “managed care” refers to a cost containment system that directs the utilization of health benefits by: a.) restricting the type, level and frequency of treatment; b.) limiting the access to care; and c.) controlling the level of reimbursement for services.